Investors know that money management can be difficult. The ebb and flow of the economy can be similar to a roller coaster, with soaring highs followed by steep drops, and those changes all affect investors’ bottom lines. It’s no wonder then that many investors over 50 envision the day when they can get off that roller coaster and simply enjoy their money without having to worry about the everyday ups and downs of the market. But managingmoney after 50 is about more than just reducing risk. Reducing risk as retirement draws near is a sound financial strategy that can safeguard men and women over 50 from the fluctuations of the market That’s true whether investors put theirmoney in stocks, real estate or other areas that were not immune to the ups and downs of the economy. But there are additional steps men and women can take after they turn 50 to ensure their golden years are as enjoyable and financially sound as possible. * Prioritize saving for retirement. Men and women over 50 know that retirement is right around the corner. Despite that, many people over 50 still have not prioritized saving for retirement. It’s understandable that other obligations, be it paying kids’ college tuition or offering financial assistance to aging parents, may seem more immediate, but men and women over 50 should recognize that their time to save for retirement is rapidly dwindling. Just because you are retired does not mean your bills will magically disappear. In fact, some of those bills, such as the cost of medical care, are likely to increase. So now is the time to make retirement a priority if you have not already done so. It might be nice to finance a child’s college education, but that should not be done at the expense of your retirement nest egg. Kids have a lifetime ahead of them to repay college loans, while adults over 50 do not have that much time to save for retirement. * Start making decisions. People retire at different times in their lives. Some people want to keep working as long as they are physically and mentally capable of doing so, while others want to reap what their lifetime of hard work has sewn and retire early. Finances will likely play a strong role in when you can comfortably retire, so start making decisions about your long-term future. Do you intend to stay in your current home or downsize to a smaller home? Will you stay in your current area or move elsewhere? These decisions require a careful examination of your finances, and many will hinge on how well you have managed your money in the past and how well you manage it in the years ahead. Managing moneyafter 50 requires more than just allocating resources. Soundmoney management after 50 also means making decisions about your future and taking the necessary steps to ensure those decisions come to fruition. * Pay down debt. 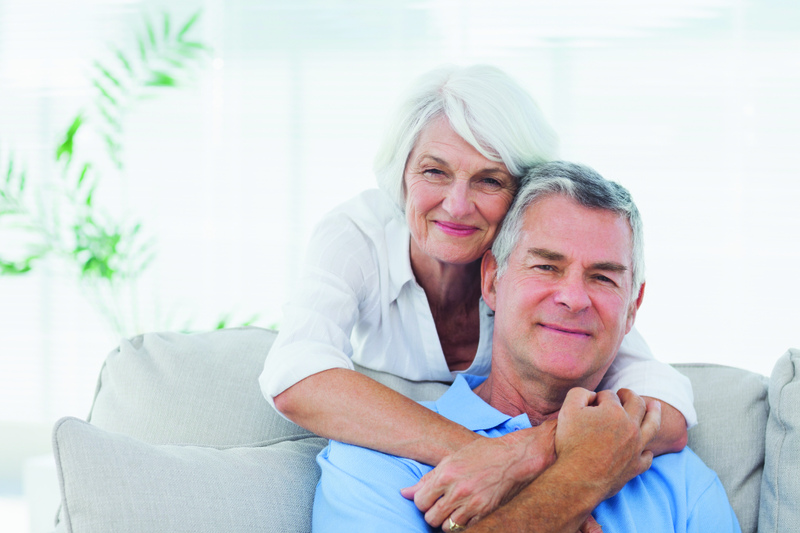 Men and women over 50 are not often associated with debt, but that’s a misconception. Thanks in part to the recession that began in 2008 and led to high unemployment, many people in the baby boomer generation, which includes people born between the years 1946 and 1964, went back to school to make themselves more attractive to prospective employers. While that might have been a sound decision, it left many deeply in debt. According to a 2013 report from the Chronicle of Higher Education, student loan debt is growing fastest among people over 60, and that debt is not inconsequential. In fact, the Federal Reserve Bank of New York reported in 2013 that the average student loan debt of those over the age of 60 who still owe moneyis more than $19,000, a considerable increase from 2005, when the average debt was $11,000. Men and women over 50 who are still carrying debt should eliminate consumer debt first, as such debt tends to be accompanied by higher interestrates than mortgages and student loan debt. Paying down debt can help reduce stress, improve your quality of life and free up money for living and recreational expenses once you retire. * Examine your insurance policies. Your approach to insurance should change as you get closer to retirement. For example, you want to maximize your liability insurance on homeowners and auto insurance policies. This ensures the money you have set aside for retirement won’t be going to a third party should you be at-fault in an auto accident or if someone suffers an injury at your home. Experts recommend liability insurance be substantial for men and women over 50, with some suggesting it be as high as twice your net worth. If it wasn’t already, securing long-term disability insurance should be a priority once you have turned 50. A sudden accident or illness at 55 that prevents you from working could prove devastating to your financial future if you do not have disability insurance. Some employers offer long-term disability, though many people are left to secure policies on their own. Regardless of how you get your disability insurance, make sure you have it and that it provides adequate coverage should you succumb to an illness or injury and be unable to work.